INTERVIEW. 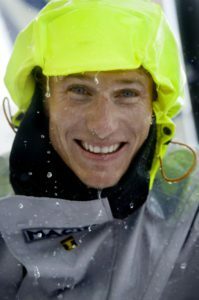 François Gabart: "Sailing for me is a state of mind"
Everything is ready for the return of the mythical Ostar, the regatta from Plymouth (England) to New York, now named The Transat Bakerly. The 2016 edition (the start will be May 2, 2016) will see 25 solo skippers in four classes – Ultimes, IMOCA 60s, Multi50s and Class40s – take on one of the great challenges in professional sailing. 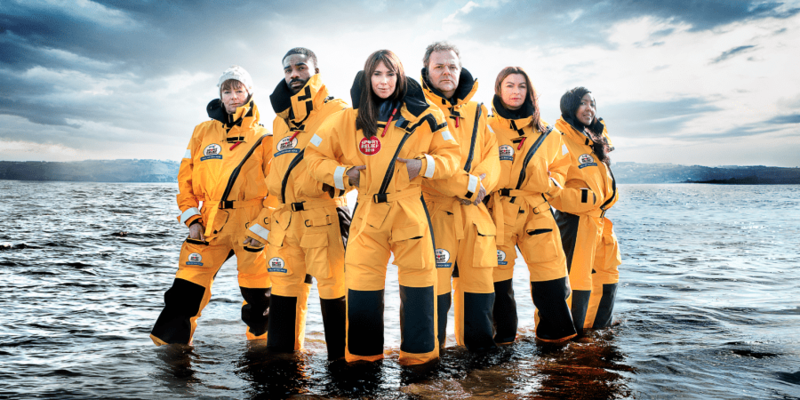 They face a 3,000-mile course complete with storm force headwinds, rough seas and freezing fog. When Sir Francis Chichester won the first edition of the race in 1960, it took him 40 days to reach New York. This year the fastest boats could be there in as little as seven days. One of the most awaited sailors is François Gabart, which for the first time will be at the helm of his trimaran Macif. We met him shortly before his departure from Plymouth. 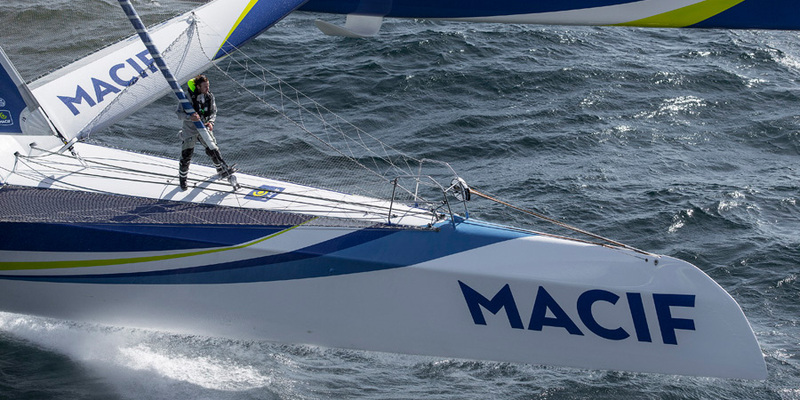 Your preparation time for the Transat was really limited: what were your priorities? It’s true, we didn’t have much time. Despite a rather short period in the shipyard, Macis only entered the water for the first time in early March and over these eight weeks we’ve worked a lot to fine-tune her and train ourselves. 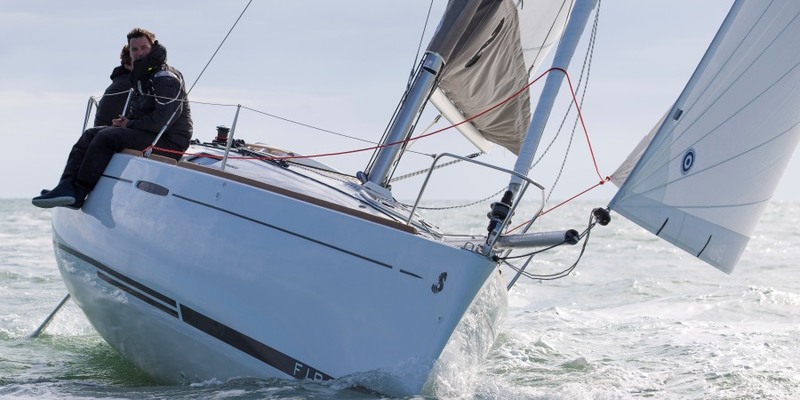 It’s the first time that I’ll take part solo in a regatta on a 30 metre trimaran, and this in a regatta as historic as the Transat and against prevailing winds. It became an important regatta after Eric Tabarly’s great victory with Pen Duick II in 1964. 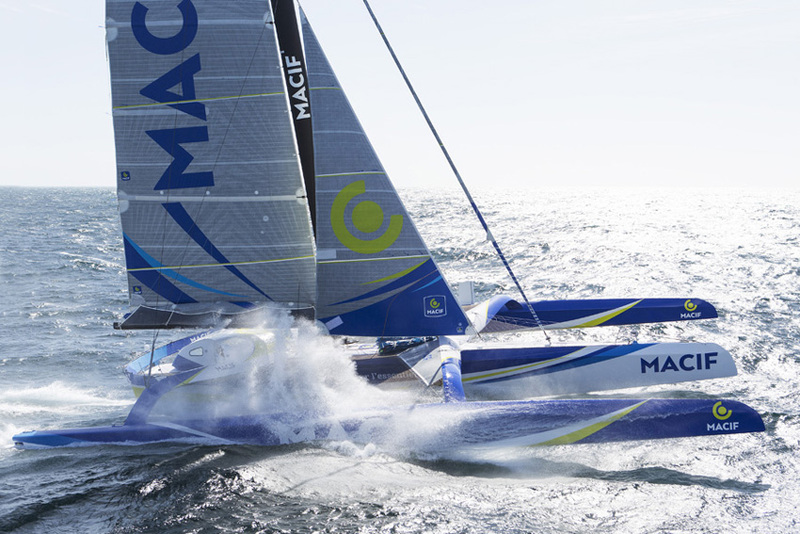 The passion for ocean sailing originated with that victory, not only in France but throughout Europe. Could you explain us the benefits and drawbacks of foils? First of all, it should be pointed out that foils work differently on monohulls than on multihulls. On the first, they increase the boat’s power and thus the workload is also high; this may explain the last few months’ failures. They also increase the risk of hitting a submerged object and causing serious damage to the hull. 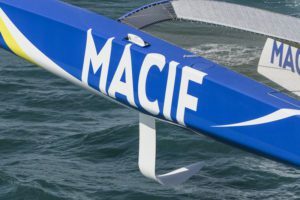 However, multihull foils have the opposite purpose; they lighten the boat as much as possible, making it literally “fly”. We skippers have to be good at managing this “aerial” side of sailing. It is no coincidence that nowadays we no longer say “to helm” but “to pilot”. 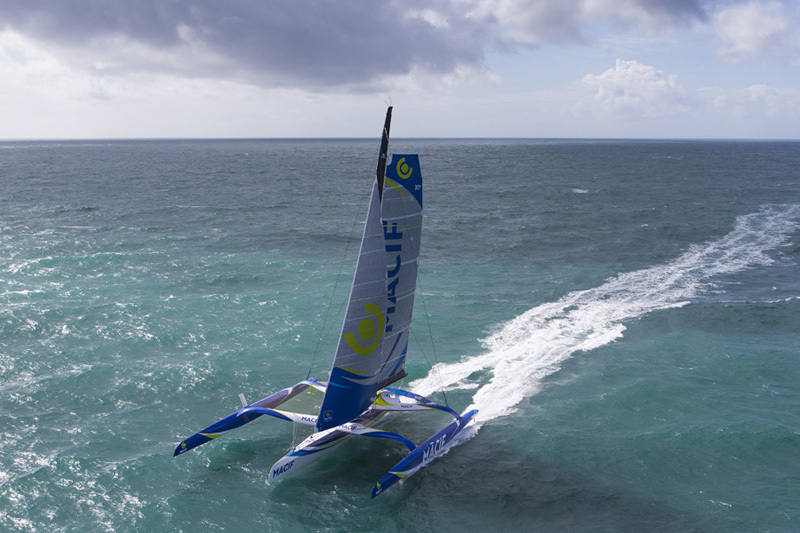 In the Transat, as your trimaran has these features, do you intend to take a longer route with more favourable winds or a more direct route? The shortest route to New York is a long way to the north, close to the ice. To sail with the trade winds we would have to navigate far to the south, thus increasing the miles we would have to cross. For the moment, it’s really impossible to know which path we will take. You have sailed solo a lot but you’ve also done so as part of a pair. What are the main differences? The difference is enormous. First of all, as regards sleep: when you sail with a partner, you can go to sleep properly, worry free, because you can have complete trust in the other member of the crew and can share the responsibilities. When you sail alone you never really sleep, you have to remain alert. In addition, when you’re alone on board, all the manoeuvres become more complicated. In a pair, one can safely perform repairs or climbing up the mastwhile the other is at the helm. By yourself it’s a whole different story. How does a skipper physically prepare for an ocean regatta? In my case, I sail a lot, of course, and when I’m on land I try to do as many sports as possible: running, cycling, kayaking and swimming. My goal is to always be well but, above all, fully prepared physically: there’s no point being extremely fast or super strong; the key is to be fully prepared. 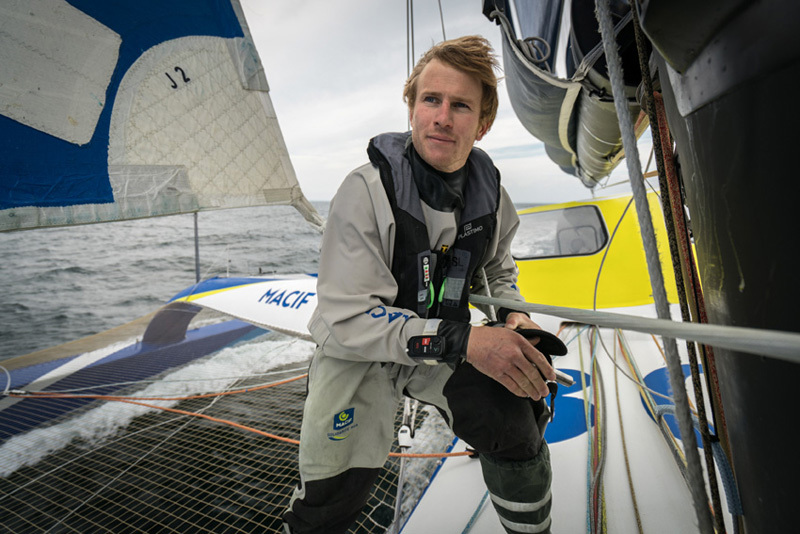 You were the youngest winner of the Vendee Globe, then you won the 2014 Route du Rhum and the Transat Jacques-Vabre 2015 with Pascal Bidégorry. What about your future goals? 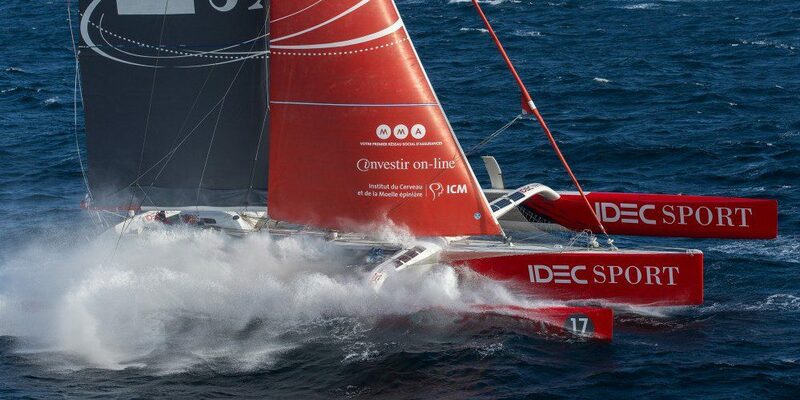 At the end of May, I will try to equal the Atlantic Record, whilst for 2017 my goal is the round the world record and in 2018 my objective will be the Route du Rhum. However, my personal goal, regardless of the name of the challenge, is to be able to “fly” across the ocean, always reaching the maximum speed. Does a professional skipper like you ever find the time to go cruising? Now, our classic question: what does “sailing” mean to you? Sailing means, first of all “being on the sea”, whether that’s on a fast boat during a regatta or on a quiet cruise. It’s a state of mind, an ever-changing world which fascinates me, one in which I feel at ease.